Thank you for using our tool to create your website! This site will teach you how to use our tool to create and maintain your website and reveal answers to common problems and issues. If you have any questions that are beyond the scope of this website, feel free to contact us by email or use the Feedback button on the right side of the page for access to our forums. Our tool is easy to understand, use, and build your own website. In the past, you would have had to hire a web developer to build your site. And chances are, to view your site on a mobile device you would have to pinch and zoom to see the content. What would have taken days, or even weeks to create can now be built in a few hours using the SquareHook tool. Plus, it works on every device right out of the box. Just build the site once and your site will look great on a desktop, tablet, or any smartphone. 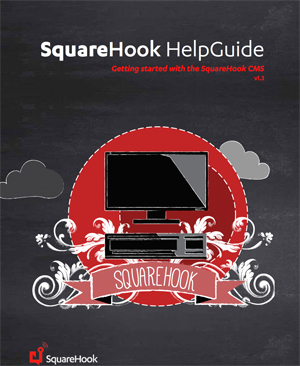 Download the entire SquareHook Help Book HERE.